Welcome to JGs Quartz Countertops. We do one thing and one thing well. While quartz is often treated as a luxury, niche product by most remodelers, we specialize in it. Our focus on one product allows us to keep our margins low and pass savings onto you without sacrificing on quality or craftsmanship. Learn more about what we can do for your kitchen or bathroom below. We look forward to hearing from you! Serving all of DFW. Are quartz countertops right for me? Quartz is one of the most popular luxury materials in the Dallas area and is a fixture in many homes across DFW. 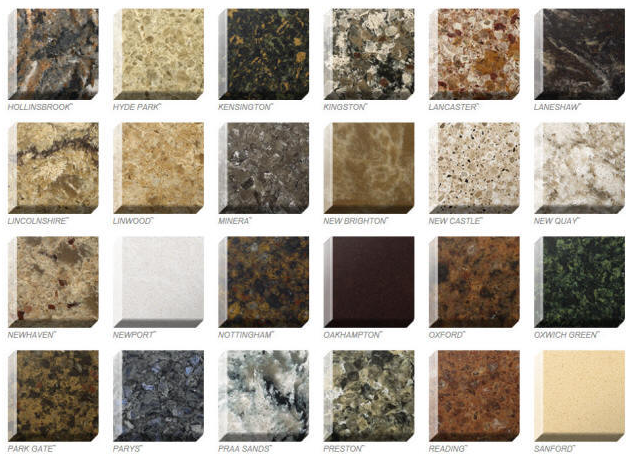 It used to be that natural stone was the top choice for countertops due to its beauty and abundance of color variations. However, quartz has become a top choice these days for many reasons. First off, quartz is more durable than natural stone due to its composition. Quartz slabs are manufactured from a combination of ground quartz, polyester resins for binding, and various pigments to give it color. The resins are what make quartz so durable and resistant to cracks, water damage and general wear. Unlike natural stone and granite, quartz countertops are non-porous and do not need to be re-coated to maintain strength and luster. Conversely, you will have to invest in a yearly protective top coat for high-end granite countertops in order to avoid major dulling and water damage. Because the resin in the quartz seals out any water from seeping through, countertops are easily cleaned and antimicrobial. When choosing quartz over natural stone, you can rest assured that you will not have any issues with bacterial growth beneath the surface. This can be a real and dangerous issue with natural stone options. Especially if not properly maintained and cared for. When quartz countertops first became an option, there were not as many color choices available, making it a second choice to natural stone. However, this is no longer the case at all. Manufacturers have come such a long way with quartz slabs, that they are now nearly indistinguishable from natural stone options. In fact, there are even more options with quartz because bright colored pigments can be added for a more modern look. No matter what your needs, we are here to help and offer complimentary consultations for all site visitors. We look forward to earning your business anywhere in the Dallas-Fort Worth metroplex. Quartz countertops can be found in beautiful natural shades that perfectly mimic granite and other stone, and they can also be found in fun stand-out shades such as candy apple red and bright green. Designs can be even more creative with the use of metallic flecks or recycled glass. Whatever your taste, there is a quartz countertop to fit your style and living space. Choose from endless possibilities of patterns, flecks, swirls and colors. Whether you want the look of granite, limestone, marble, or textured slate, there is a durable quartz option for you. Another addition to the endless options is the choice in finish. At one time you could only find quartz countertops with a polished look, but now slabs are available with honed, sandblasted, or embossed finishes to give them an even more authentic appeal.